Much of the initial research on normal swallowing has been conducted in young men. Recently, there has been increasing interest in determining whether there are differences between the sexes in swallowing function and in the effects of aging on swallowing in both sexes. This investigation examined the swallowing ability of 8 healthy young women between the ages of 21 and 29 and 8 healthy older women between the ages of 80 and 93 during two swallows each of 1 ml and 10 ml liquid boluses. Videofluoroscopic studies of these swallows were reviewed in slow motion and real time to confirm the absence of swallowing disorders. Kinematic analysis of each swallow was completed. Data on range of motion of pharyngeal structures and coordination characteristics of the oropharyngeal swallow were taken from this kinematic analysis. Position of the larynx at rest and length of neck were compared between the two groups. Data from this study were compared with previously published data on younger and older men. Interestingly, the range of motion of the older women was often greater than that of the young women. Only tongue base movement diminished significantly with age in women. Volume effects observed in duration and extent of movement during the 1 ml and 10 ml swallows were similar to those in earlier studies. Older women also exhibited an increased range of motion relative to the old men. This increase may indicate a compensation for aging effects not seen in older men. 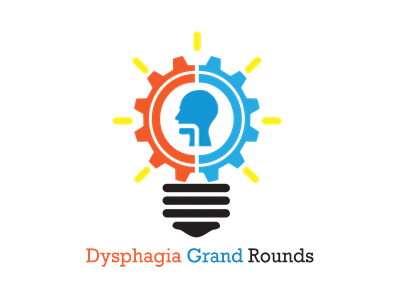 In this webinar, swallowing researcher and dysphagia expert Dr. Ianessa Humbert discusses the DGR 1 research article in detail; helping clinicians learn how to appraise this paper critically. 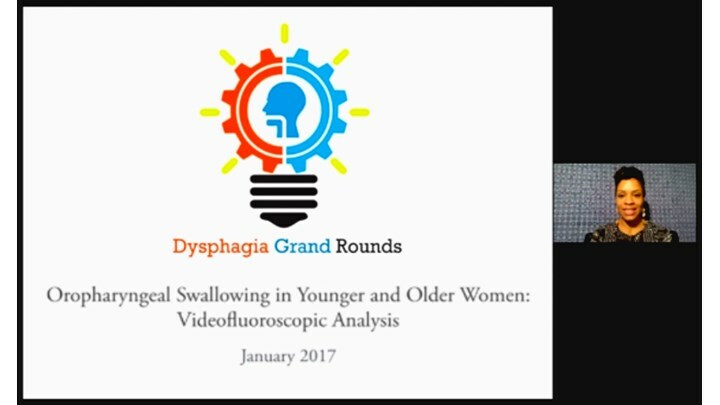 She concludes by answering questions posed by dysphagia clinician Rinki Varindani Desai, discussing the clinical relevance of this study and its applications.